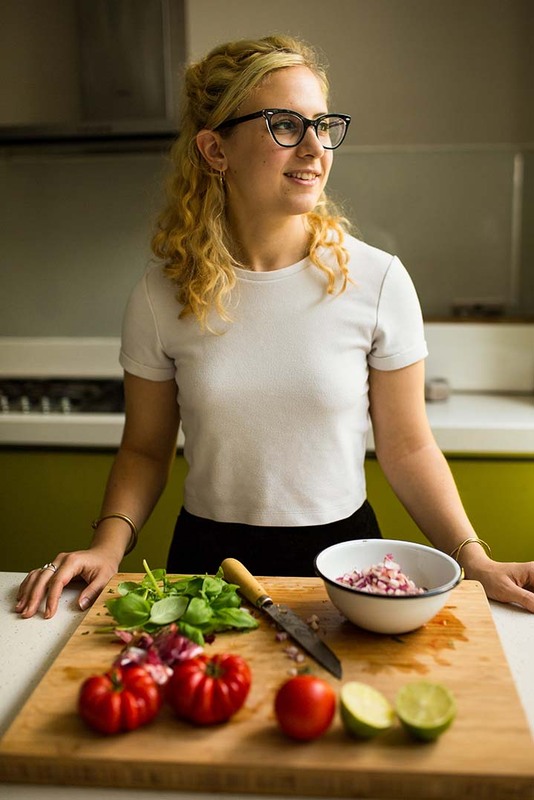 Izy Hossack, superstar blogger talks about her new book, The Savvy Cook. It’s filled with budget-minded recipes that emphasize maximum flavor and minimum effort. Izy, who started her blog Top With Cinnamon at age 15, is now at university in England. She joins host Kerry Diamond at the studio in Brooklyn to talk about how roommates, her studies in nutrition, and “uni”–the school not the seafood–are impacting her approach to food. 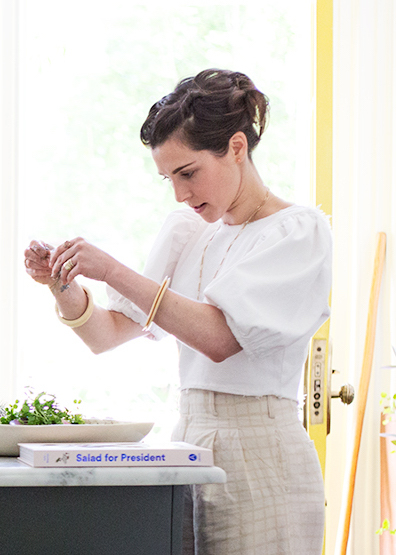 Kerry’s second guest is the Queen of Green, Julia Sherman, author of Salad for President: A Cookbook Inspired by Artists, one of the most unique cookbooks of the year. We talk to Julia, who is also the creative director of CHOPT, about her special place in the food world and how she connects food and art so beautifully.